Fish Yearns For Snow and Jujutsu Kaisen. Images courtesy of VIZ Media. 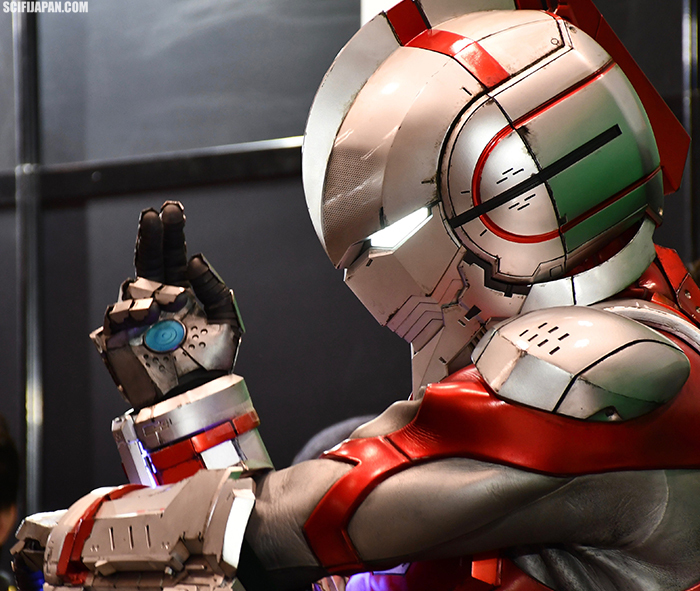 VIZ Media had a packed roster of announcements during the company’s panel event held this past weekend at Seattle’s Emerald City Comic Con. Direct from X-Plus — SciFi Japan has giant, his-res photos of the painted Limited Edition Daikaiju Series: Godzilla (1999) figure! Earlier this month, SciFi Japan posted information and photos of giant monster figures scheduled for release in May 2019 from X-Plus Co., Ltd. X-Plus has now provided high-res pics of the fully painted Limited Edition version of their Toho Daikaiju Series: Godzilla (1999) figure. The Japanese collectibles company X-Plus Co., Ltd. has provided SciFi Japan with information and giant, high-res photos of their DefoReal Series: Godzilla (2016) Frozen Ver. figure, which will be released this June. The Japanese collectibles company X-Plus Co., Ltd. has provided SciFi Japan with information and more than 80 daikaiju-sized photos of their giant monster figures scheduled for release in May 2019. The Japanese collectibles company X-Plus Co., Ltd. has provided SciFi Japan with information and giant, high-res photos of their figure based on the Shin Godzilla statue on display in the plaza outside the Toho Cinemas in Hibiya, Tokyo. The figure will be released on March 23, 2019, the first anniversary since the area was renamed “Godzilla Square Hibiya”. JAKKS Pacific will release a wide range of GODZILLA: KING OF THE MONSTERS action figures, role-play and play sets. JAKKS Pacific, Inc. has provided SciFi Japan with product info and giant photos of their new line of Godzilla toys inspired by Warner Bros. Pictures’ and Legendary Entertainment’s GODZILLA: KING OF THE MONSTERS, hitting theaters May 31, 2019. BROS. ENT.© 2019 Legendary. All Rights Reserved. Titan Books is delighted to announce the latest additions to their extensive and long-running official Godzilla publishing program with two new tie-in titles to the highly anticipated new GODZILLA: KING OF THE MONSTERS feature film, the latest installment in the MonsterVerse series. Titan Books in collaboration with Toho and Warner Bros. will be publishing The Art of Godzilla: King of the Monsters by Abbie Bernstein and Godzilla: King of the Monsters – The Official Movie Novelization by Greg Keyes. Competitive gaming — eSports — has been around for ages but has never before seen the growth and popularity it sees today. What started out as local LAN parties evolved into large-scale internet play, ultimately becoming a mind sport and an activity that can make the best players rich (the highest-paid eSports “athlete” so far is DotA 2 player KuroKy, born Kuro Takhasomi, with more than $4 million in winnings to date) and one that you can place bets on at Betway Thailand and other bookmakers online. eSports as we know it was born in South Korea in the late 1990s / early 2000s, becoming the first truly 21st-century sport. Since then, eSports have grown exponentially, becoming a popular and seriously funded activity. There are many titles with eSports potential — pretty much every major game developer hopes to break into this world. Here are the ones that were the most played in 2018. Experience a new kind of Fate/Grand Order through PlayStation VR! The FGO PROJECT launched the English version of the first and only Fate VR drama with FATE/GRAND ORDER VR feat. MASH KYRIELIGHT for PlayStation VR. This new virtual reality experience from the makers of the hit mobile game Fate/Grand Order is available for free in the United States through the PlayStation Store. Featuring two original stories, players take on the role of a Master to spend some one-on-one time with the lovable heroine of Fate/Grand Order, Mash Kyrielight, or a private getaway with the legendary king of Britain, Altria Pendragon. The English version of the Fate VR drama summons voice actresses Erica Mendez (FATE/GRAND ORDER -FIRSTt ORDER-) as Demi-Servant Mash Kyrielight with Kari Wahlgren (FATE/STAY NIGHT [UNLIMITED BLADE WORKS], FATE/ZERO) returning as Altria Pendragon. The newly released English version of FATE/GRAND ORDER VR feat. MASH KYRIELIGHT can be downloaded through the PlayStation Store via both PlayStation 4 console or internet browser. Those who have purchased the game from the browser version of PlayStation Store will be able to access the experience on the PlayStation 4 console’s download list. Bandai has released product details and large photos of their “Movie Monster Series” and “Monster King Series” soft vinyl figures from GODZILLA: KING OF THE MONSTERS, the upcoming movie from Warner Bros. Pictures and Legendary Entertainment. VIZ Media, LLC, a premier company in the fields of publishing, animation distribution, and global entertainment licensing, announces a new addition to one of manga’s greatest series with the release of Fullmetal Alchemist: The Complete Four-Panel Comics on March 12th. Photos courtesy of NECA. TM & © TOHO CO., LTD. © 2019 WARNER BROS. ENT. © LEGENDARY 2019 © 2019 NECA, Inc.
NECA has provided SciFi Japan with GIANT photos of their next wave of figures from the upcoming, hotly anticipated movie, GODZILLA: KING OF THE MONSTERS, from Warner Bros. Pictures and Legendary Entertainment. During New York Toy Fair, Hasbro unveiled some of their biggest Power Rangers toys of the year: the Beast Morphers Dual & Triple Converting Zord Assortments (with some creating the Beast-X Megazord) and Playskool Heroes Red Ranger & Dragon Thunderzord Figure. It’s Morphin Time! Introducing a new era of POWER RANGERS collectibles with Hasbro’s all-new POWER RANGERS LIGHTNING COLLECTION 6” Figures! The LIGHTNING COLLECTION features over two decades of iconic characters from this storied franchise, and Hasbro is excited to bring its own take to this premium line. The LIGHTNING COLLECTION’s highly-articulated, 6-inch figures will have best-in-class detailing and design and will feature Photo Real technology for realistic actor likenesses. Look for the collectible figures in this series, including MIGHTY MORPHIN WHTE RANGER, DINO CHARGE RED RANGER, MIGHTY MORPHIN LORD ZEDD, and POWER RANGERS S.P.D. SHADOW RANGER. JAKKS Pacific has announced a wide range of GODZILLA: KING OF THE MONSTERS action figures, role-play and play sets. Photo courtesy of NECA. TM & © TOHO CO., LTD. © 2019 WARNER BROS. ENT. © LEGENDARY 2019 © 2019 NECA, Inc.
NECA is thrilled to present its first figures from the upcoming, hotly anticipated GODZILLA: KING OF THE MONSTERS movie from Warner Bros. Pictures and Legendary Entertainment! VIZ Media, LLC, a premier company in the fields of publishing, animation distribution, and global entertainment licensing, announces new manga publishing acquisitions set for release this coming fall. 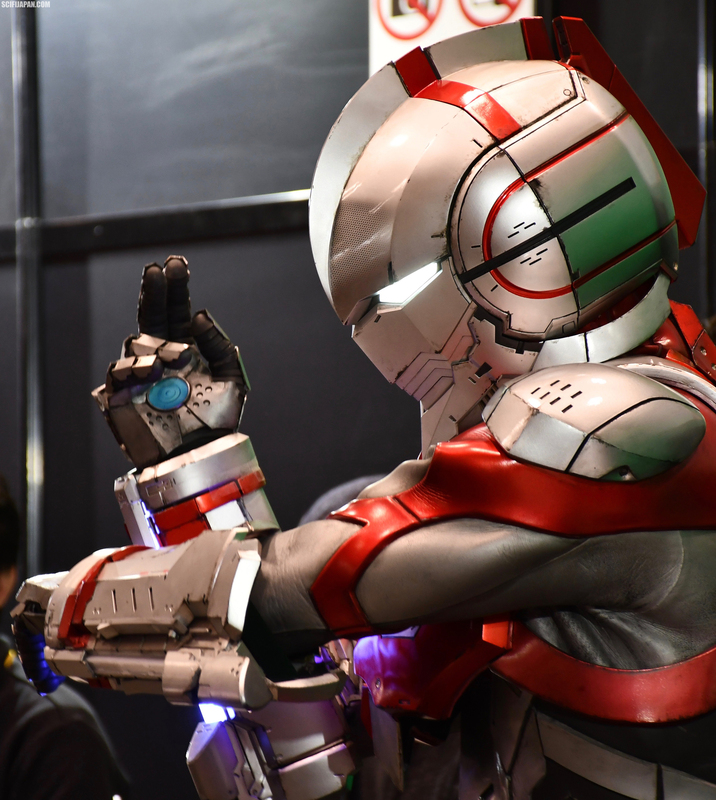 The Japanese collectibles company X-Plus Co., Ltd. has provided SciFi Japan with information and GIANT high-res photos of their Event Exclusive products sold at this weekend’s Japanese hobby show, Wonder Festival 2019 Winter. In addition to the exclusives, X-plus is exhibiting upcoming releases and offering overstock and imperfect (display figures, damaged packaging, etc) items at reduced prices at their booth, #2-23-01. Photos courtesy of X-Plus. Godzilla, King Caesar and Hedorah TM & © TOHO CO., LTD. Magnedon, Ultraman Tiga, Black Satan and Twintail © TSUBURAYA PRODUCTIONS. The Japanese collectibles company X-Plus Co., Ltd. has provided SciFi Japan with information and more than 75 daikaiju-sized photos of their giant monster figures scheduled for release in April 2019.